Using Microsoft SharePoint for Improved Collaboration, Decision Making is a web application platform that allows users to set up collaborative sites to share information, manage documents with multiple users from start to finish, and publish reports and key data in dashboard formats to help workgroups and companies make better decisions. Making its first appearance over 10 years ago, the most common uses for SharePoint early on were intranets and project/team sites. Many organizations that adopted SharePoint in the 2003 version capitalized on its ability to upload documents to Document Libraries and share those documents with others. With the current version, SharePoint 2010, and the soon-to-be-released SharePoint 2013, users will see tremendous expansion in capabilities and new features. Among the out-of-the-box capabilities: social computing, web content management, document management, records management, document output management, taxonomy management, forms capture and processing, search, and business intelligence. SharePoint has incredible possibilities as an application platform and is a strong alternative for Content Management Systems -- making the user adoption and collaboration easier than ever because of its integration with Microsoft Office and related products. From a development standpoint, customization is within the reach of users of all levels of expertise because of the over 90,000 objects available. SharePoint is built on the .NET framework, which gives developers the familiar Microsoft Visual Studio environment to work with the SharePoint platform - offering the potential to dramatically reduce the time required to develop solutions. Embracing web standards, the new cloud app model gives maximum choice and flexibility to build a new class of apps for Office and SharePoint using familiar languages, tools, and hosting services. Deployed as an on-premise or hosted solution, SharePoint can reduce costs as a unified infrastructure and its ability to integrate seamlessly with third-party applications. Connect your Line of Business (LOB) systems such as SAP, Oracle, Microsoft Dynamics, and close the integration gap by accessing all of your previously independent LOB data in SharePoint. Sites: A "one-stop shop" for all your business web sites. ‘Sites’ provides a full set of tools that your people can use to create any kind of site, plus a single infrastructure that simplifies site management. From a team site for colleagues, to an extranet site for partners, to an Internet site for customers, people can share and publish information using one familiar system. Communities: ‘Communities’ lets people work together in ways that are most effective for them. By providing great collaboration tools that anyone can use to share ideas, find people and expertise, and locate business information. And management of these tools are all done from this single, powerful platform. 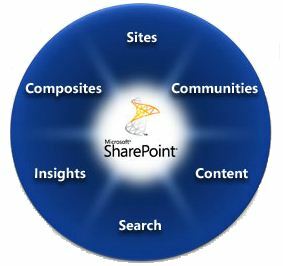 With SharePoint 2010 Communities, your people can be more creative and productive in a secure, well-managed environment. Content: ‘Content’ makes Enterprise Content Management (ECM) easy for everyone. Combining traditional content management, social capabilities, and powerful search, it is as natural to manage as it is to use. With its simple, "behind-the-scenes" administration, you can quickly set up compliance policies, while its familiar interface lets your people work just as they would in Microsoft Office. The result is well-managed information that is easy to find, share, and use. Search: SharePoint 2010 ‘Search’ helps find the information needed to get the jobs done. It provides intranet search, people search, and a platform to build search-driven applications- all on a single, cost-effective infrastructure. But what’s so unique about SharePoint 2010 Search is its combination of relevance, refinement, and people. This new approach to search provides an experience that is highly personalized, efficient, and effective. Insights: SharePoint 2010 'Insights' lets everyone access the business information they need to make good decisions. With powerful features like interactive dashboards and scorecards, people can use the information in databases, reports, and business applications to address specific needs. SharePoint 2010 Insights uses well-known applications and interfaces, so that users know how to get the data they need. Composites: Offers tools and components for creating do-it-yourself business solutions. Build no-code solutions to rapidly respond to business needs. With SharePoint 2010 Composites, you can work with data from other systems as if it lived in SharePoint. Create, read, update, delete, and search the data using external lists. Work with it online in a browser or in Microsoft Office. Can’t get connected? Use Microsoft SharePoint Workspace to work offline and synchronize your changes when you reconnect. If you are interested in learning more about SharePoint 2010, including how it can be set up and customized by IT Solutions for your business, contact your VCIO or Jim Higgins at jim.higgins@itsolutions-inc.com today. 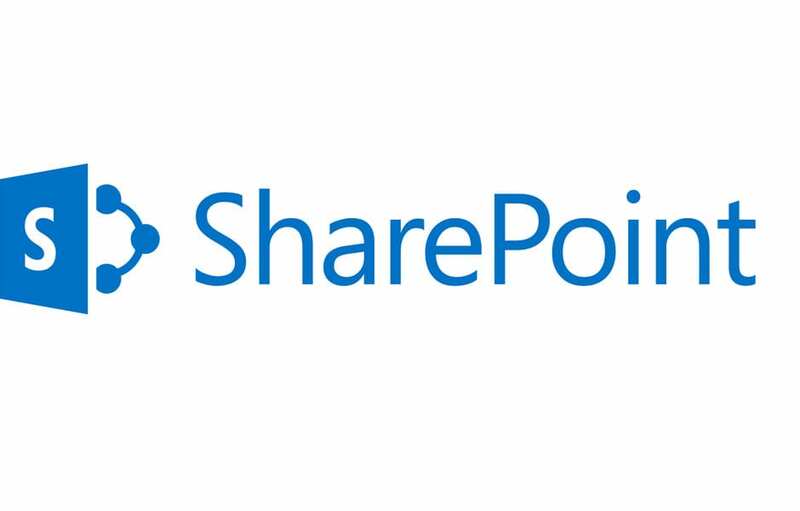 Microsoft SharePoint is a web application platform that allows users to set up collaborative sites to share information, manage documents with multiple users from start to finish, and publish reports and key data in dashboard formats to help workgroups and companies make better decisions. Making its first appearance over 10 years ago, the most common uses for SharePoint early on were intranets and project/team sites. Many organizations that adopted SharePoint in the 2003 version capitalized on its ability to upload documents to Document Libraries and share those documents with others. With the current version, SharePoint 2010, and the soon-to-be-released SharePoint 2013, users will see tremendous expansion in capabilities and new features.